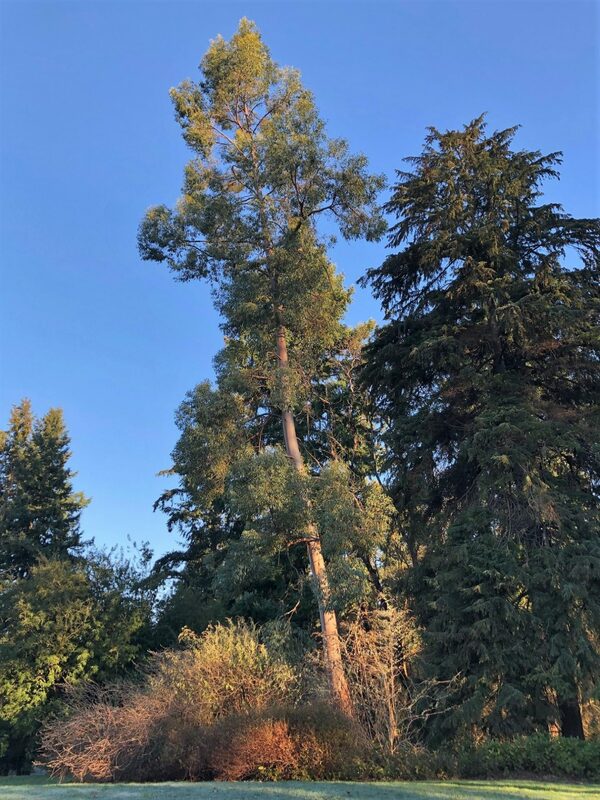 Eucalyptus gunnii is the tallest eucalyptus in the Arboretum and is now one of the taller broadleaf trees—being nearly 80’ tall at present—and enjoys a prominent position in the future footprint of the Australian Forest. Part of its longevity and good performance is also likely due to its provenance. Eucalyptus are generally grown from seed, and seed from higher elevation trees have proven to be much hardier. Another reason is likely the warming temperatures of the Seattle metropolitan area in recent decades, including warmer winter temperatures. We just aren’t getting as cold as we used to in the early days of the Arboretum. The cold temperatures we do experience are often of shorter duration. Additionally, cider gum is quite tolerant of wet feet compared to many other eucalyptus species. Specimen 1295-56*A was planted along with 2 others in 1957 and another clump of 3 nearby in 1958 in the old Hypericum section between the Witch Hazel Family collection and the Camellia collection. Records show that some died to the grown from cold in the winters of 1968-69, 1989, 1996 and other years. Eventually some weakened or succumbed to cold or its aftereffects, leaving just one. The Arboretum has extensive records of the many eucalyptus species that have been tried over the last 85 years. It has long been a goal of local gardeners to see which species would prove to be cold hardy in the long term in our climate, and the Arboretum was a good laboratory for this. Some species would persist for years or even decades until a sudden drop into the 10-20 degree F range would cull out all but the hardiest. Many were killed to the ground but would come back strongly from the roots once spring arrived. A very few would sail through, and these were usually ones that had been in the ground longer. Cider gum and a handful of others—especially the snow gum, Eucalyptus pauciflora ssp. niphophila—are the species that have lasted over the years. Eucalyptus gunnii features smooth bark that peels in large flakes of green, creamy orange and white, which ages to various shades of grey. Juvenile foliage is opposite, green to bright grey-blue and rounded, 1-1 ¾” long. Young shoots are glaucous. Adult leaves are alternate in arrangement, elliptic to lanceolate and 1 ½ to 3” long. Flowers appear in late winter in the Pacific Northwest, often in February or early March. Cider gum is the most commonly grown eucalypt in the British Isles, though it is best suited for larger gardens. It is very tolerant of a wide range of growing conditions, including soils of poor fertility and drier sites. Sun is a must, and ours is in a relatively open area compared to most of the Arboretum. Hardiness improves with age, which is likely another reason our large specimen has done so well. It is now over 60 years old. Location: There is only one specimen currently growing in the Arboretum, accession 1295-56-A, a magnificent tree in Grid 8-4E just north of the vehicle turnaround area across Arboretum Drive E from the New Zealand Forest. Origin: Eucalyptus gunnii is endemic to Tasmania, Australia. It is found on the central plateau on plains and slopes, often on wet ground, from 2,000 to 3,500’ in elevation. Our specimen was grown from seeds collected on Mt. Arrowsmith. Height and spread: In the wild, cider gum can reach 120’ tall or more. Some specimens in England have reached over 100’ in the 150 years they have been in cultivation there. It can be grown as a bushier tree, but often it maintains a single trunk and this is where the greatest heights are achieved. It generally is under 25’ wide if grown as a singled trunk specimen. 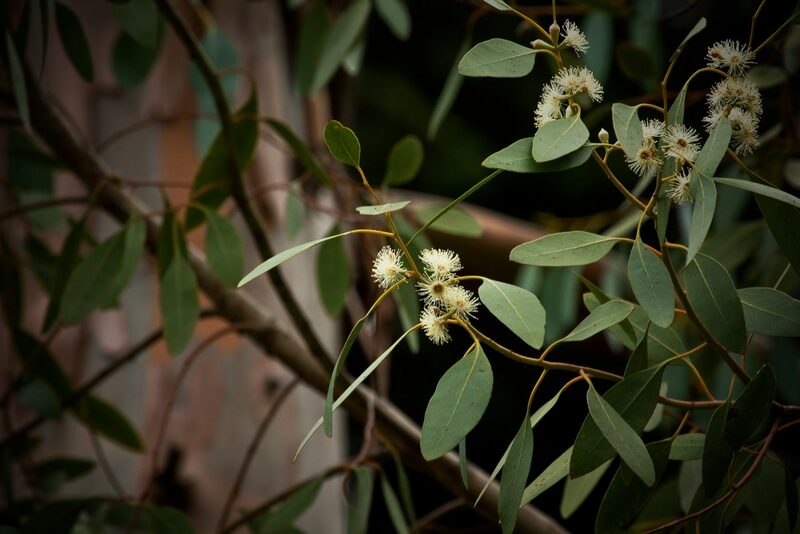 Eucalyptus gunnii is a fast grower and can grow up to 6’ a year in certain conditions. It can be maintained as a coppiced shrub if desired. Hardiness: Cold hardy to USDA Zone 8. It is generally considered the most cold-hardy of the arboreal forms of the genus. Hello Jann, here is some information about the plants you mentioned. 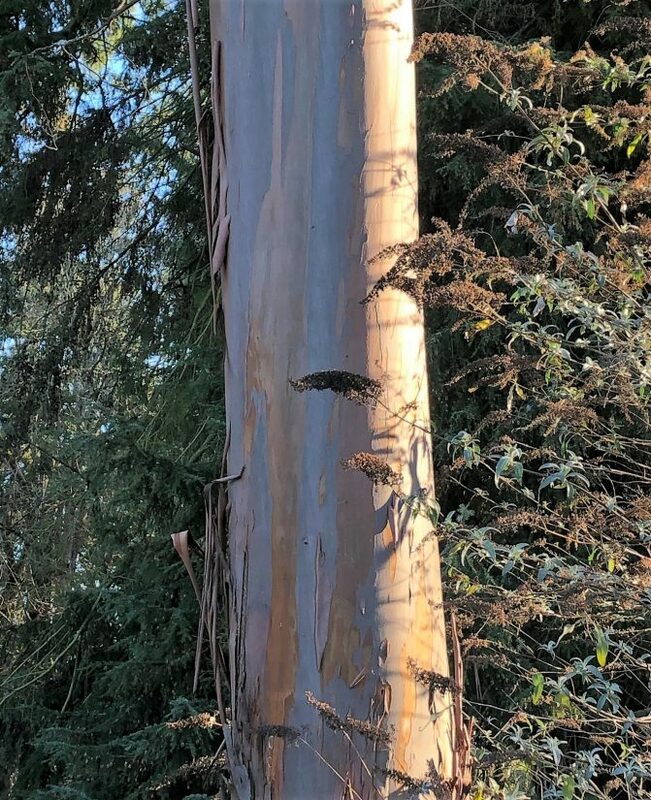 The Eucalyptus coccifera east of the Graham Visitors Center was received as seed from the Melbourne Botanic Garden in 1990–that is the ’90’ part of the accession number. It was received with a larger batch of seed of Australian species in early September as part of the international Index Seminum program for seed exchange between botanic gardens and arboreta. The seed was collected in Tasmania at Devil’s Gullet, which is a state reserve in the Central Plateau Conservation Area. Two seeds germinated and one was planted in its current location in 1994. The Callistemon, C. rigidus, was received as seed from the Jardin Botanique de la Ville de Lyon, in France, also through the Index Seminum program. Thirteen plants germinated and in 1992, 5 were planted in the Arboretum and 2 planted at the Center for Urban Horticulture. Two remain at the Graham Visitors Center location (333-90-A & B) and the two at the Center for Urban Horticulture were destroyed during the arson firebombing of the Merrill Hall in 2001. A good way to find out more information about specific plants with accession labels (either metal or green labels will have it) is to visit one of our two interactive plant maps. For more detailed information, including many of the historic cards that list accession information and planting dates, visit: http://depts.washington.edu/uwbg/gardens/map.shtml. That is often best viewed on a laptop or PC. While in the Arboretum, the mobile optimized version offers some information as well as your location on the map, and can be found at https://depts.washington.edu/uwbg/gardens/map.html. I have both sites bookmarked for easy viewing while in the Arboretum. And for more information about Australia Forest Development, subscribe to E-Flora and the Arboretum Foundation’s Washington Park Arboretum Bulletin. The latter is available at the Arboretum Gift Shop or as a membership benefit of the Arboretum Foundation. You can also contact me at halcyon@uw.edu. I planted two in my yard in 1989 on 33rd between Howell and Olive on the west side of Madrona south of the little house in the middle of the block on the east side of the street. When I sold the house in 1999, that tree was enormous. I think it may still be there and can be seen from 33rd up the hill. It was just a tiny twig in a gallon pot when I planted it and was so surprised how fast it grew into an enormous tree in just 10 years.